Dr. Illes is a pioneer of the field of neuroethics, aligning critical ethical inquiry with brain discovery. She was appointed to the Order of Canada in 2017. Dr. Illes is Professor of Neurology at the University of British Columbia and a Member of the Order of Canada. In addition to her pioneering work in neuroethics, she has been engaged with issues of women in science throughout her career. 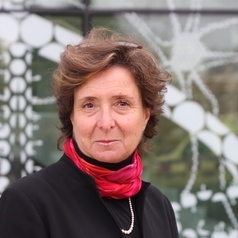 Dr. Illes was President-Elect of Women In Neuroscience (2003 – 2004), Co-Chair of the Committee on Women in Neuroscience for Society for Neuroscience (2005 – 2009), founding Chair of Women in World Neuroscience of the International Brain Research Organization (2008 – 2010), and a mentor in the Program on Diversity of Society for Neuroscience, since 2013. She is also an elected member of the International Women’s Forum, a global organization comprising more than 7,000 women leaders and heads of state.